Released digital-only on Bandcamp on the day it was completed (May 27 2016), it immediately ranked on the front page best-seller list. The listener feedback and numerous requests for a physical release led to the creation of this 500-copy limited-edition CD. This 74 minute piece was mastered by Howard Givens revealing even more subtlety down inside this place to be. 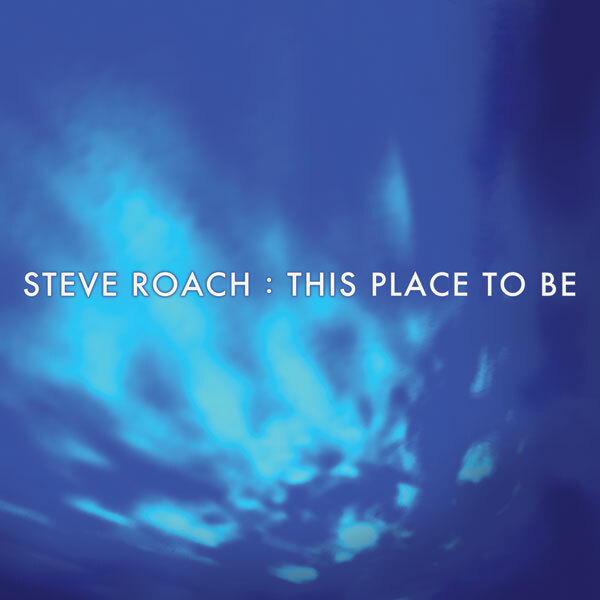 Two of my initial ports of entry into a lifelong appreciation of Steve Roach, and drifting ambient music in general, was the combination of Structures from Silence and Quiet Music. They were my first forays away from more energetic electronic music and the too-shiny-for-me charm of New Age. Here was music I could fall into and feel how it was affecting me. Roach notes that Shadow of Time is something of a spiritual successor to the same concepts behind Structures from Silence, and I hear that in the rise and fall cadence, but the pads and chords on this album feel much more present; authoritative and solid, rather than the more gossamer constructs of its predecessor. The 38-minute title track kicks off the album with a subtle sense of majesty. The pads are like a series of muted, slow-moving clarion calls woven with a rich low end, the two coming together in a strong, resonant blend. Roach infuses a time-stretched melody across this track. It constantly has a hands-on-keys feel, Roach picking the spots where the next chord needs to begin its swell and where it needs to ebb. Its voice is assured and forward, yet still soft and warm. “Night Ascends” distinctly—and appropriately—moves away from the gentler tones of Structures… to raise distinct echoes of more shadowy Roach work such as “A Piece of Infinity” from Mystic Chords and Sacred Spaces. It draws on the same general amorphous, beat-free lineage as the rest of the album, but its sense of anticipation and slightly eerie chord pairings distinguish it from the other two tracks. It offers occasional glimmers of bright tones, like moonlight coming through clouds. The final track, “Cloud of Knowing,” is a comparatively mere 12 minutes long, but it is the piece closest to the Structures… ideal. The pads stretch out to a vanishing point, whispering as they go, calming and warm. As the piece reaches its end, Roach almost imperceptibly extends the pauses between pads, and the piece dissolves to become part of your breath. On the page for this album at his site, Roach notes that “At certain points in my artistic orbit, I re-enter the deeper end of this current…” I for one am glad, always very much so, to have the opportunity to go there with him. Slot this into your growing playlist of beatless masterworks from Roach, and simply float off into the shadow of time. Roach’s other foray into the deep end, This Place to Be, arrives as a single long track that runs exceptionally deep. Of the two releases, this one cleaves more closely to the hushed, dream-ready rise and fall of Structures…, an hour-plus of turning inward and getting quiet. This is the whispered voice of the ether, the careful rendering of the sound between silences, the motion of sleeping breath turned to music. This is the stuff you put on a low-volume loop and just live within. As is always the case, Roach floats his lines through passages of light and shadow, but no shift in tone disrupts the smoothness and depth of the flow. An up-close listen reveals plenty of texture, interplay, and harmony. This piece is absolutely perfect for sleep or meditation—or just to exist alongside you as you go through wherever you happen to be. This Place To Be is another slice of long-form, ebbing ‘n’ flowing deep ambience from one of the master of the from. The release is available in both CD & digital download, and I’m reviewing the CD version of the release. Package-wise the CD comes in a four-panel digipak- this features a decidedly blue color scheme, and takes in a selection of blur & hazed shapes or possible skylines. It’s a fairly stripped & simple bit of packaging, but it does retain well a feeling of both mystery & unfixed themes for the release- which is always nice, so one can totally go into the release uninfluenced, and you can have you own distinct take on the track. Moving onto to the music within, and we have a single track of just shy of seventy-four minutes runtime. The whole thing opens in quiet a nebulous, multi-layered, and shifting form – with Roach masterfully blending together wishful-yet-mysterious mid ranged harmonic twinkles & sweeps, with slower rolling drones, and glittering higher pitched darts. For the first few minutes, it feels like the elements are fairly rapidly trying to find their place, shape & focus, as each layer is seemingly moving at its own pace – as if like one is trying to home in on particular details in a landscape, which is constantly shifting & fragmenting. As the minutes tick by slowly but surely we feel the pace of all the tones slowly lessen & drop in their speed – until at around the 18th minute mark we are left with slowly floating & ebbing drifts of different toned ambience – these feel very much like strange islands or structures that slowly appearing from out of a deep fog. Roach stretches & sculpts the deep ambience into this dense-yet- slurred mass of amorphous sound. And as the structure of the track slows, your own body starts to seemingly follow suit – putting one into a relaxed, yet fully awake state. As we near the forty-fifth minute the pace feels like it’s starting to speed-up once again, as the layers begin to rapidly slide & shift over each other. And so from the murky & mysterious drifting, we move into brighter & lighter waters, or skies- which seem to sway & twinkle with warming harmonics & spirit rising power. As we carry on our sonic journey the higher & harmonic tones, are replaced by slides of more mysterious & mid ranged swirls, and along with these, you get deeper drifts appearing. And as we move towards the last few minutes the whole thing seems to become once more nebulous & shifting in its feel, though it’s a lot more knowing & wisdom filled, as if we’ve been on a journey of inner discovery.